Ram Trucks are built to last through whatever work and weather you put them through, but now Port Lavaca Dodge Chrysler Jeep Ram is offering an extended service program that will ensure your Ram Truck is always running strong. This newly available service known as Ram Care gives our Corpus Christi, Victoria, Seadrift, Bay City, and Edna area customers access to regular preventative maintenance, special VIP access and treatment at Ram events throughout Texas, 24/7 Ram Care Support as well as many other features that make owning and operating a Ram Truck even more valuable. Whether your Ram Truck is used for work or play, you’ll know your truck is always protected by our team here in Port Lavaca, Texas. One major benefit of being enrolled in Ram Care is that you’ll receive two complimentary oil changes and tire rotations a year from our expert Service Team so your Ram will always be protected and in tip-top shape. 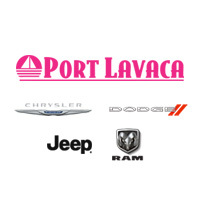 If you’re traveling and your Ram experiences unforeseen issues, Port Lavaca Dodge Chrysler Jeep Ram and Ram Care will give you peace of mind with complimentary first day rental. Ram Care ensures that your new Ram Truck always works with the same vigor and elegance you left our lot with. If you’d like to learn more about the features of Ram Care, continue below and we’ll happily answer any and all of your questions.